Eric writes: I had read some recent reports of a number of Bachman's Sparrows using the forests of Angelina National Forest in Texas. This is one species I have had bad luck with and would be a lifer for me. I arrived early and parked along the road so I could get some things situated in my car, and what did I hear . . . my first Bachman's Sparrow. So I though, "Now, it's going to be easy since I can just follow the song." Not quite, it took me at least 45 minutes to locate one while listening to 4-5 singing all around me. 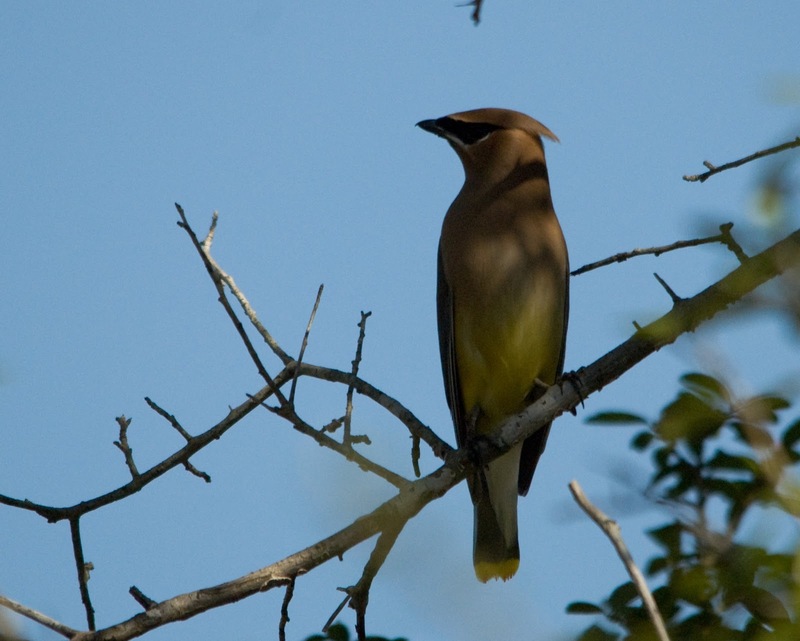 I had heard that they perch up, and out in the open, but all of the ones in this area were singing from the low vegetation. Red-cockaded Woodpecker stretching for one more morsel. After my success with Bachman's Sparrow, I decided to walk a couple of roads that were closed to cars. The birding was great! 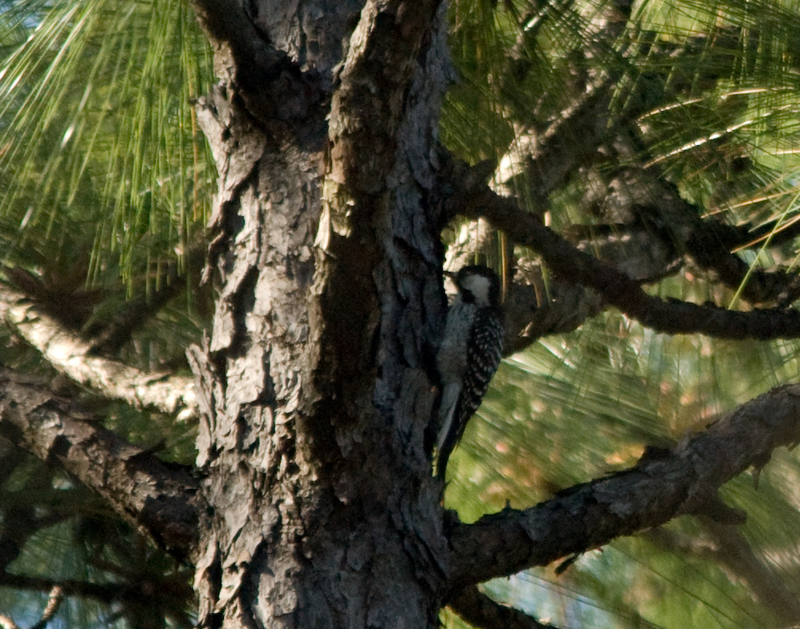 I heard more Bachman's Sparrows, watched a couple of Red-cockaded Woodpeckers foraging for about 20 minutes, and had many Brown-headed Nuthatches and Pine Warblers. After I had my fill of these specialties of the pine forest, I drove along some roads with a mixture of habitats. 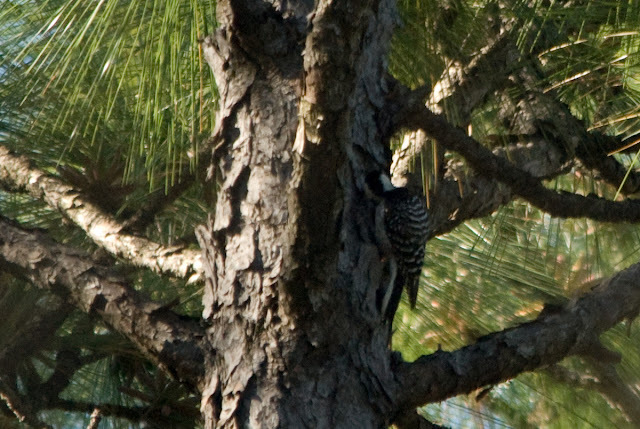 Many more woodpeckers stole the show with Red-headed and Red-bellied chasing each other, a couple Pileated Woodpeckers, and some flickers. Cedar Waxwing-a large flock of these was flycatching along the road. 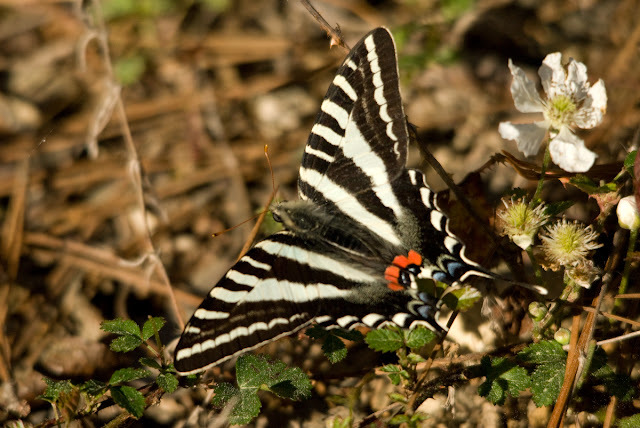 Zebra Swallowtail-one of the most beautiful butterflies.